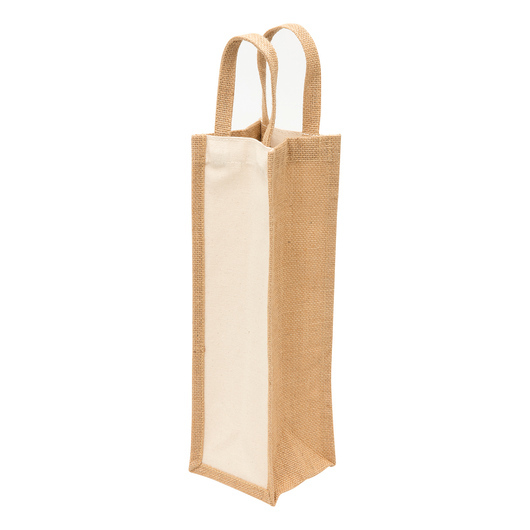 Be prepared for a big celebration with friends and family with our Eco jute bottle wine bag. Keeps everything chilled and ready to drink with this practical, Eco-friendly jute bottle wine bag. Made with durable Jute and canvas fabrics, it will absorb moisture and allow airflow. The single bottle carrier is perfect for a wide variety of applications, it is tough and Eco-friendly. Being an Eco-friendly renewable resource, this product is sure to help reduce the use of plastic shopping bags.